So, what is a consent decree? Why does it matter? Why should I care? All very good questions..they kept me up at night. Seriously. I started to dig in. The more I researched, the more it became evident that its all happening…right now. Proceedings of the case can be viewed on the Department of Justice website. All comments should be submitted to ASCAP-BMI-decree-review@usdoj.gov before August 6th, 2014. *Note – anything submitted will be made public on the afore mentioned website. 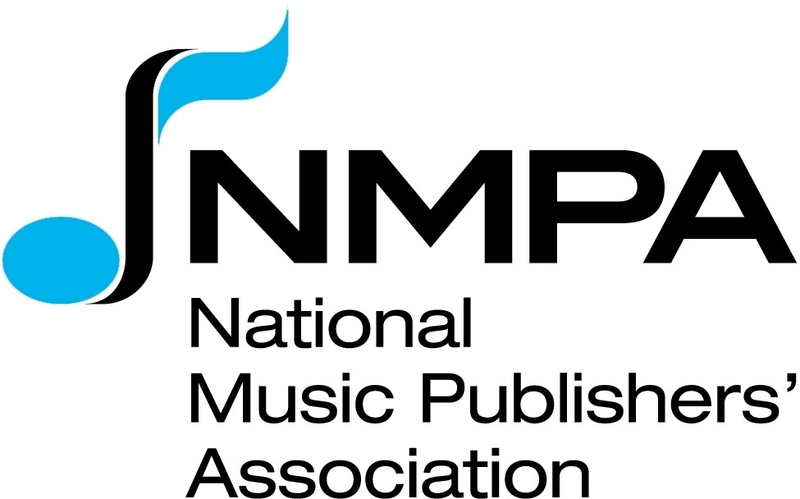 Given its about to get real, I reached out to the National Music Publishers Association to get their take. I feel privileged to have had an opportunity to connect with Danielle Aguirre, Senior Vice President of Business and Legal Affairs at the NMPA. What is the consent decree and why was it created? Consent decrees are agreements that the Department of Justice enters into with companies, or parties, that they’ve been investigating for some violation of the law. They impose restrictions that often regulate how a seller can or must license or sell their content in order to protect against perceived legal violations. Are there any historical elements to the consent decree that are noteworthy (impetus for creation, amendments, etc.)? In this case, with respect to the Performance Rights Organizations, the consent decrees governing ASCAP and BMI are the result of a DOJ investigation into antitrust violations in the 1940s. The decrees have been amended on occasion, usually after significant changes in the market or because of necessary revisions to the provisions. The last amendment was to the ASCAP decree over a decade ago. Who makes up the rate court and how are those people included in the court? When there is a dispute about a licensing rate, the parties go to a rate court, where a judge determines a rate. The consent decrees mandated that this rate court be held at the United States District Court for the Southern District of New York. Judge Cote hears all ASCAP rate proceedings. Judge Stanton all BMI rate proceedings. What are main issues being discussed today regarding the consent decree? Since before WWII, songwriters have lived under consent decrees that unfairly burden them and result in below-market rates. The DOJ is beginning to acknowledge this burden and the fact that many provisions in the ASCAP and BMI consent decrees no longer make sense in this new digital music market. First, PROs must grant a license to all the musical works in its repertory upon request, even where a royalty rate for such use has not been agreed. Second, applicants who request a license are not compelled to provide any information that would allow setting of a fair “interim” rate to pay for music use. Third, if a rate cannot be negotiated, the PROs must engage in lengthy and costly rate court proceedings, the cost of which are borne by their songwriter and music publisher members. Further, because the rate courts do not, and cannot, take into account free-market standards for rate-setting, the rates they determine under value songwriter’s work. Finally, although the consent decrees allow songwriters and music publishers to grant PROs non-exclusive rights, recent court decisions have prohibited music publishers from withdrawing portions of their catalogs and directly licensing them, therefore they must keep all of their rights fully in a PRO or completely withdraw from the PRO. This limits the ability of songwriters and music publishers to competitively license their work. These are many of the issues for which DOJ has looked for public comment and is looking to address and reform in proposed modifications. How does the consent decree affect an emerging song writer, an established song writer, a music publisher, and/or a listener of music? Although songwriters are not parties to the consent decrees, the consent decrees govern the way all songwriter’s PRO-negotiated work is used and the rate that is set for the use of that work. What is the position of those opposed to a revised consent decree? For decades, large tech companies and music streaming distributors such as Pandora and Google, have benefitted financially from these consent decrees because they allow them to avoid paying songwriters fair market value for their work. These businesses, who have the advantage of operating in a free market, hope that DOJ keeps WWII-era consent decrees in place so that they can continue to pay rates below market value and use songwriters work without their consent. What is the position of the NMPA with regard to a revised consent decree? NMPA believes that the outdated consent decrees must be updated to deal with the Digital Age of music. At the very least, they must be modernized. Songwriters and publishers should be able to negotiate in a marketplace freely with services and users that they choose to negotiate with. The PROs should have greater ability to license multiple rights where authorized by its member publishers and have greater flexibility to negotiate in a true market. Licensees should be required to pay interim license fees while rates are set, so that they can’t continue to use works for free during protracted and costly litigation with the creator. And finally, the consent decrees should streamline a rate-setting process so that we can end the long, burdensome rate court process. How can interested parties stay informed as to the status of this development? All comments from interested parties are due to the DOJ by August 6 and these comments will be made public by DOJ. After the public comment period ends, DOJ will reveal its proposed modifications, if any, to the current consent decrees. Are there other sources of information folks can review for more in depth explanations on these topics? Have anything to add? Have any additional questions? Feel free zap us an email at hello@exploration.io. Stay tuned for more information on this subject as it unfolds.